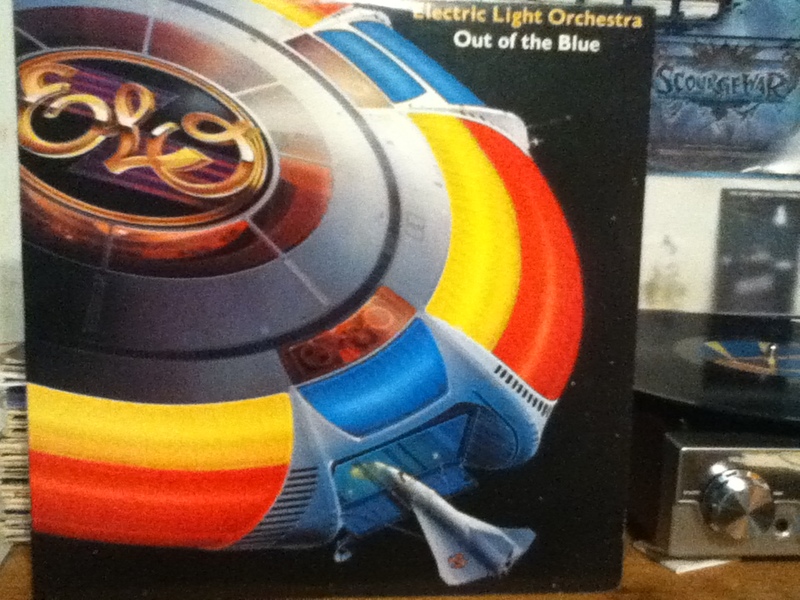 The symphonic rock style of ELO is easily recognizable and it forces you into a good mood upon hearing it. If you've ever been to a roller rink in the 70's or very early 80's you probably know ELO. Jeff Lynne, ELO's frontman, composer and producer is a musical genius, he just doesn't write music, he composes art for the ears. Out of the Blue is a double LP, Jeff composed the music in less than month, right around three and half weeks. We are not talking about ten tunes for a four man band. We are taking about writing and arranging seventeen songs for seven people on close to ten instruments and a fire extinguisher. The album was recorded over a two month period in Munich and went multi-platinum before it was even released thanks to 4,000,000 pre-orders. Out of the Blue was a major success going platinum in three countries and gold in two others. The album peaked well on twelve album sales charts across the world. Five singles were released from Out of the Blue and all became hits in multiple countries; Turn To Stone, It's Over, Mr. Blue Sky, Wild West Hero and Sweet Talkin' Woman. Side three of Out of the Blue is subtitled Concerto For A Rainy Day. Here are four songs composed by Lynne that are musical essays on weather and how it affects mood change. During the the time Lynne was writing the music for the album, it was constantly raining and Lynne was attuned to how it affected him. The last song, Mr. Blue Sky, is the uplifting sunshine at the end of a long rain storm. It is in my top three favorite ELO songs and always gives me a nice emotional boost. Listening to the album, the whole thing is enjoyable. I don't recall coming across a song that I wanted to skip over. ELO is a band that I queue up with Jethro Tull, Fleetwood Mac and some Yes to help center my mood if I'm feeling down or giving off a pissy attitude. There's a definite positive energy to ELO's music. Out of the Blue was the other album that I received as a gift from Reed Sturdivant, so again another big thank you.